Every year flocks of holidaymakers travel to Ibiza to sample a slice of paradise. From Ibiza virgins to veteran travellers, all walks of life journey to its shores. We have all been there: as soon as the new year comes around we are looking forward to our next big break. Now is the prime time to find those bargains across the worldwide web. So if you haven't started your Ibiza travel plans yet, here are the reasons that you should get started on planning your 2019 trip today. With only a month remaining until the Ibiza season starts, it's not long before the summer kicks in full force. This final countdown period is particularly exciting as all the clubs and parties ramp up their season announcements. Every day fresh clubland news increases levels of anticipation and excitement. Check out our clubbing magazine to find all the latest details on dates, line-ups and more. You can even snap up some sweet early-bird deals. Speaking of deals, the run-up period to the season usually holds the best prices for holidays. As clubs and party brands start to fill up the party calendar, they often release early-bird tickets. 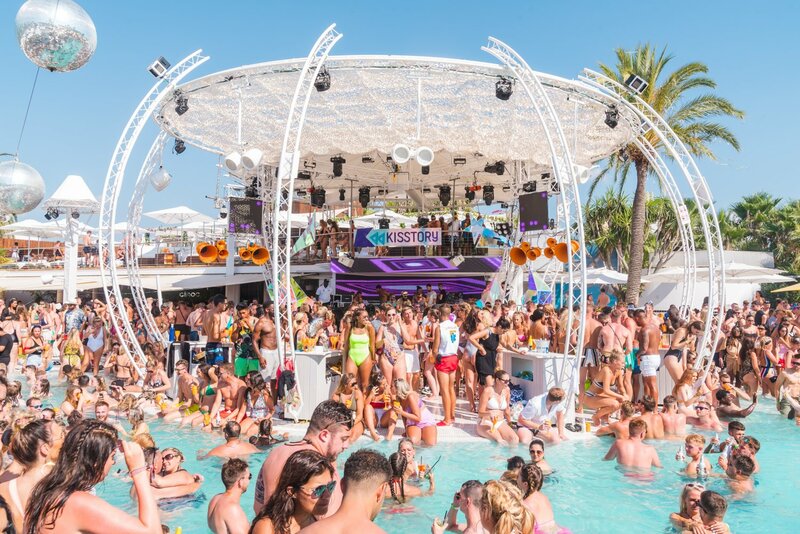 These are the best way to save money before you even get to Ibiza. Considering that your average club ticket costs €30-50, you can easily save up to €20 by snapping up an early-bird option. Don't hang around, though: these are only available for a limited time, with most completely gone by the end of April. Often these will be available until full line-ups are announced, so make sure to think ahead on this one. Wondering where to stay whilst you are in Ibiza? Check out this special list dedicated to the top hotels for clubbers, from boutique hostels to fashionable apartments. You might also start looking at all the places you can go to whilst you are here. If you are a bit of a raver, our party guide is the place to check out all the hottest parties. On the island, a boat party ranks as an Ibiza-bucket list essential. Check out which one might take your fancy here. To save some money, you are always better off with a plan. When it comes to payday, put a little aside towards your Ibiza holiday and don't be tempted to dip into it. Trust us, you'll be glad you put away some savings! Also, when you are here, what helps the most is knowing where all the best deals are. If you are a complete first-timer to the White Isle and not sure at all where to go or what to do, have a read of our collection of Ibiza Virgins' Guide. Booking early leaves you with the options to choose the ideal holiday package for you. Often as the start of the season draws closer, popular hotels have already been booked up, especially on special occasions such as openings and the BBC Radio One weekend. If you are having difficulty choosing the perfect holiday plan, our Ibiza island guide for clubbers is the perfect starting point for your holiday research. There you will find all the details on Ibiza Town, San Antonio and Playa d'en Bossa, including popular clubbing hotspots during the season. All that's left to do now is for you to plan your trip and for us to wish you an amazing holiday.